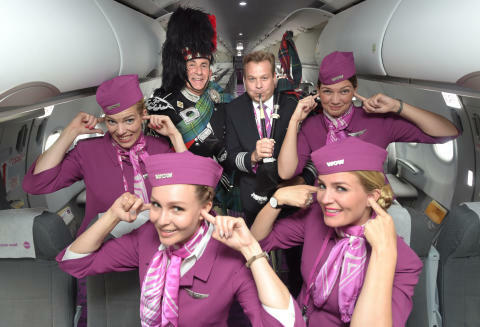 Edinburgh Airport has welcomed the first WOW air flight from Iceland. Travellers arriving from the Nordic nation, as well as North America, were greeted at the arrival gate by a bagpipe player, providing an authentic Scottish musical welcome. The flights make travel to Scotland from Iceland and beyond more affordable. Flights go to Edinburgh Airport from the airline’s hub in Reykjavik twice-weekly between July and October on Sundays and Wednesdays, with a total flight time of two hours 30 minutes. 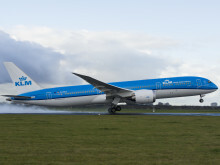 Passengers from the airline’s North American destinations - Boston, Washington DC, Montreal, Toronto, Los Angeles and San Francisco - can also fly to Edinburgh via Iceland. Malcolm Roughead, Chief Executive of VisitScotland, said: “Scottish tourism punches above its weight on the world stage and this new service from WOW air, offering flights from Reykjavik to Edinburgh and connecting from five key destinations in North America, will further strengthen our connectivity in this hugely important market. 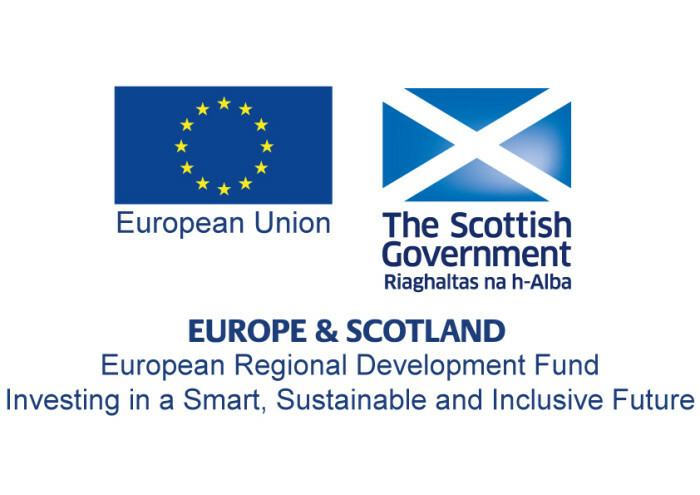 Gordon Dewar, Chief Executive of Edinburgh Airport, said: “Iceland is an increasingly popular destination for Scottish holidaymakers and this new route also increases choice of flying between Scotland and the United States. The Edinburgh to Reykjavik flight will be operated by an A320 aircraft, with single-class A321 and A330 aircraft operating the connecting routes between Iceland and North America. For more information on flights to Iceland and North America please visit www.wowair.co.uk. WOW air is the only ultra-low-cost transatlantic airline offering the cheap fares, a modern fleet with the lowest emissions and the biggest smile; this is the WOW air promise to its valuable customers. WOW air flies daily from London Gatwick to Reykjavik with twice-daily flights currently on Sunday, Monday and Thursday. As of summer 2016, the airline will serve 29 destinations across Europe and North America including London, Edinburgh, Bristol, Washington DC, San Francisco, Los Angeles, Montreal, Toronto and Boston. Created in November 2011 by Icelandic entrepreneur Skúli Mogensen, the purple airline flies with Airbus A320 aircrafts and Airbus A321/A330 models. British Airways today declared itself “Open” for business in Inverness with the arrival of the inaugural flight on its new daily service between Heathrow and the capital of the Highlands. ​Air Transat, the Canadian award-winning leisure airline, launches Scotland’s newest route this bank holiday weekend with a service from Montreal (Pierre Trudeau Airport) to Glasgow Airport. ​Etihad Airways, the national airline of the United Arab Emirates, has marked the first anniversary of its service to Edinburgh Airport, which was launched on 8 June 2015.
easyJet, Europe’s leading and Scotland’s largest airline, has today (29 June) expanded its Scottish network by launching a new route from Marseille to Glasgow.